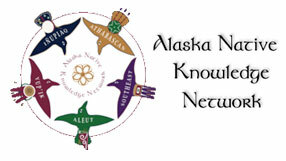 To “generate and share scientific knowledge to promote understanding and stewardship of Alaska’s marine ecosystems”. 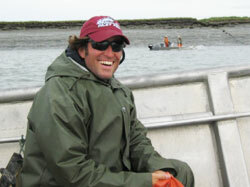 I am the Director of Conservation at the Alaska SeaLife Center (ASLC) and am responsible for establishing a variety of conservation programs compatible with our marine stewardship mission. I have a background in biological oceanography and an interest in physical processes of our oceans and climate-based changes occurring in Alaska marine ecosystems. I am also interested in species range extensions that may be a result of climate change, and invasive species caused by unintentional introductions of a species to an environment where they may cause environmental or economic harm. I have a special interest in elasmobranchs and exploring new information about the occurrence of elasmobranchs in the Arctic. I am also engaged in developing citizen science programs in addition to BioMap Alaska such at the Alaska Corps of Coastal Observers (AkCCO), a program focused on coastal physical processes and impacts such as erosion and inundation. Throughout my career I have served non-profit and for-profit businesses in executive and operational capacities, as well as contributing to natural resource planning and development. 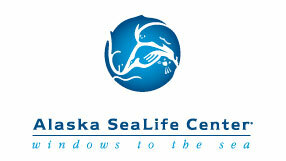 I am the Marine Invasive Species Program Manager at the Alaska SeaLife Center. 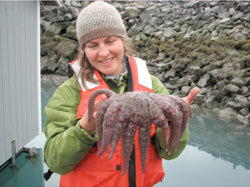 I have a background in Applied Ecological Sciences and Marine Biology. I am particularly interested in conservation biology in the marine environment. I appreciate the vast biodiversity and pristine habitat that Alaska has to offer, and am interested in understanding declining populations, range extensions, and invasive species introductions in the face of climate change and rising marine commerce. I have most recently been working in research and education for marine issues such as invasive species, marine debris, and changes in species’ food resources as a result of climate-based changes. 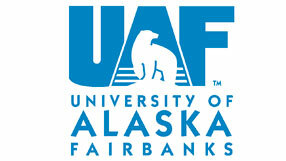 I am an assistant professor at the University of Alaska Fairbanks (UAF), where I manage the Human Dimensions Lab at the Water and Environmental Research Center (WERC-HD). 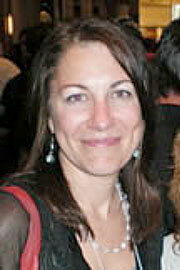 I am a broadly trained environmental social scientist, with expertise in anthropology, ecology, and sociology. My areas of research interest include community food security, sustainable resource management, environmental change, and citizen science. 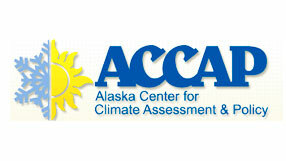 I am also a co-PI for the Alaska Center for Climate Assessment and Policy, a NOAA-funded Regional Integrated Science and Assessments (RISA) center, the mission of which is to provide climate information and assessment services to Alaskan communities working to adapt to climatic change. I have long been interested in human and marine system dynamics in northern coastal regions and I have worked in the North Atlantic, the Canadian Arctic, and in Alaska. My current research activities are focused on the human dimensions of climate change, historical human ecology, ecosystem based management, and sustainability science in the Arctic and Sub-Arctic. 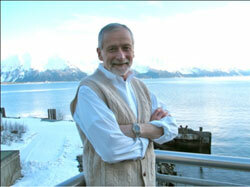 I am also the Executive Director of The International Study of Arctic Change (ISAC) International Program Office. ISAC is an open-ended, international, cross-disciplinary pan-arctic environmental change research program designed to document and track arctic changes, and to understand system-wide connectivities with an emphasis on science for society within the Arctic and around the globe. ISAC is supported by the US National Science Foundation (NSF) and the Swedish Research Council (VR). 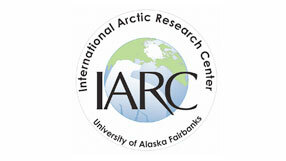 The International Program Office (IPO) facilitates international collaboration and coordination in arctic science.